Funny how sometimes a little plan is the best way to get more people involved! Our wee baby eyepet project is now getting a little larger… I’ve been picking up a few other schools and nurseries over the past week who also want to be involved. Fantastic. Funny also how sometimes a little bit of input can have long lasting impact. Ollie Bray visited around Aug/Sep to give a talk to people in the area about free web resurces etc, then Brian McLaren visited a couple of schools the other week. 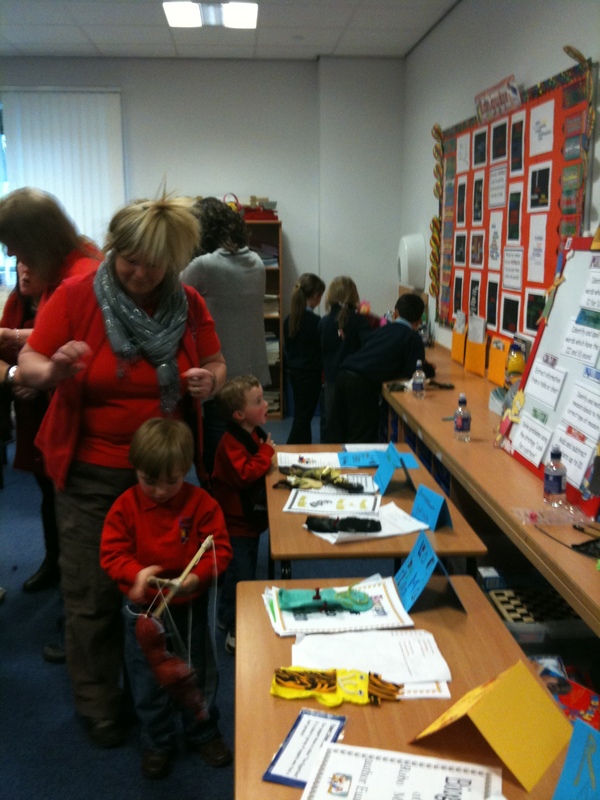 Those two visits are showing lots of impact in terms of emerging games based learning throughout the area. I read something really nice on twitter last night. Unfortunately I can’t remember who posted the link … but I’m sure they will know who they were! I’m always interested to see how aspects of AiFL can be further extended and have found thinking dice a great tool for schools to use in making questioning and interaction more effective. Previously work done by establishments around developing questions using De Bono’s six thinking hats has also been innovative. Anyway last night this link was posted on twitter. 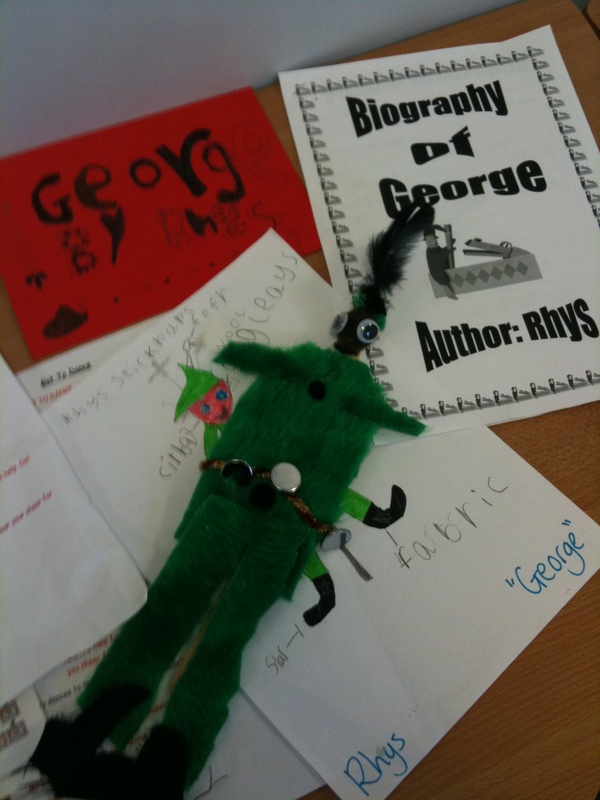 Fantastic resources developed by Big Hill Primary School around Pohl’s Thinkers Keys. Great activities which could be linked to any curricular area to promote thinking/questioning/creativity etc etc. An absolute gem. For those who are yet to understand why twitter is a great teaching resource – this is a super example. Out and about getting time to look at some of the interesting practice going on in the area today. Visited Calderwood Primary to meet the HT about a curriculum for excellence development work update in the school, by luck the Primary 3 class were doing something pretty neat! 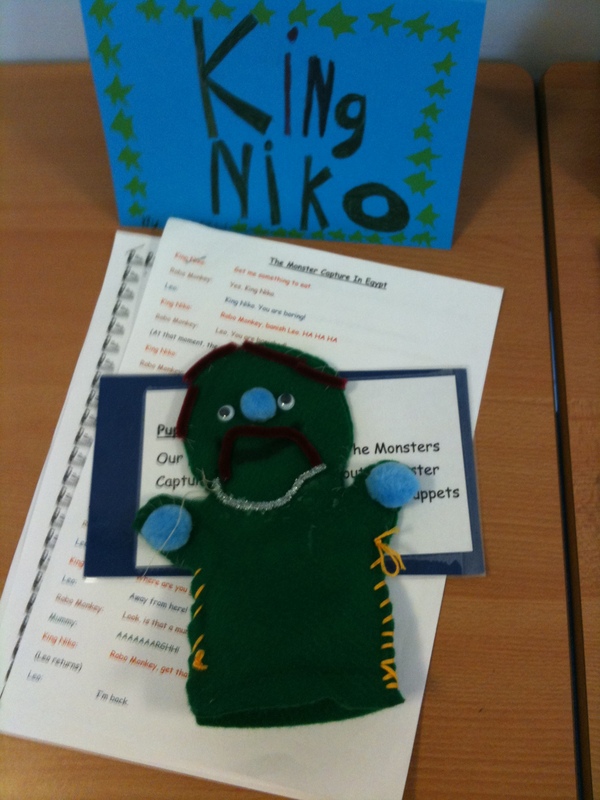 They have recently been completing an interdisciplinary topic related to puppets. Stonelaw pre school 3 year olds had come up from the nearby church to watch their puppet show. 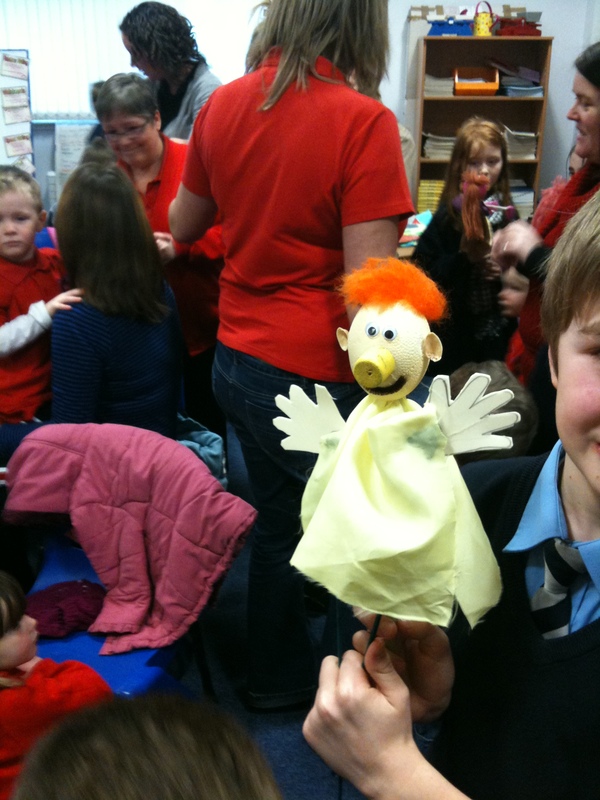 The children performed using the puppets they had designed to their audience and managed to hold their attention. 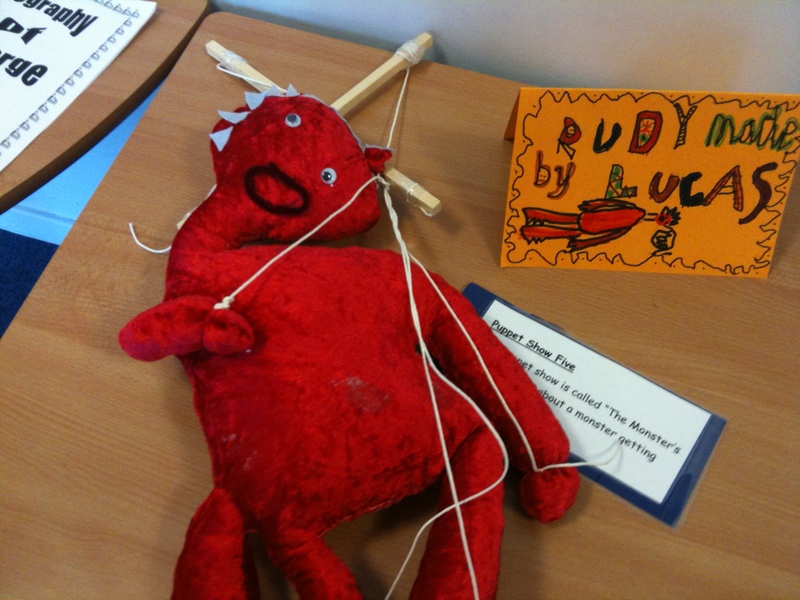 Afterwards they showed the pre school children their displays, their puppets etc. I’ve put a few photos underneath of this and some other interesting aspects in this P3 class. Things of particular note – the way they plan and consult together as a class before, during and after learning opportunities – you can see this for the puppet context and also their next interdisciplinary piece of work which will be in Egypt.. Lots of evidence of discussion of useful learning strategies around the room. Evidence of children setting their own individual targets. 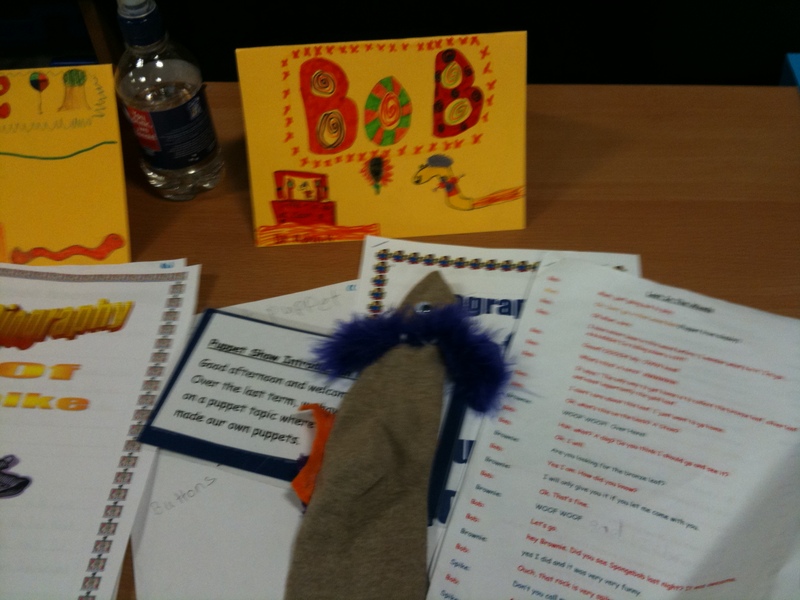 Child friendly CfE language so they can understand and articulate what CfE is about. (The next step in this would be to drill right down to the children around the language of eg what creativity means and looks like at their age, what are some of the key words in eg the literacy outcomes etc – the Head teacher is currently having a good look at this kind of work). 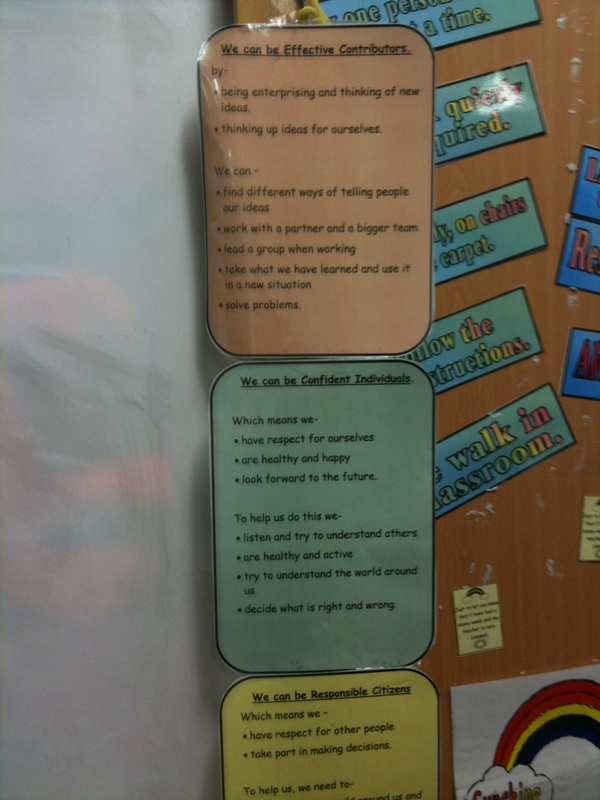 Evidence of leadership roles across the class – with every child having a leadership role and using the language of this to explain why they are doing certain things – what is it that they are learning if they are the leader for organising the jotters, pencils etc in their group/team? 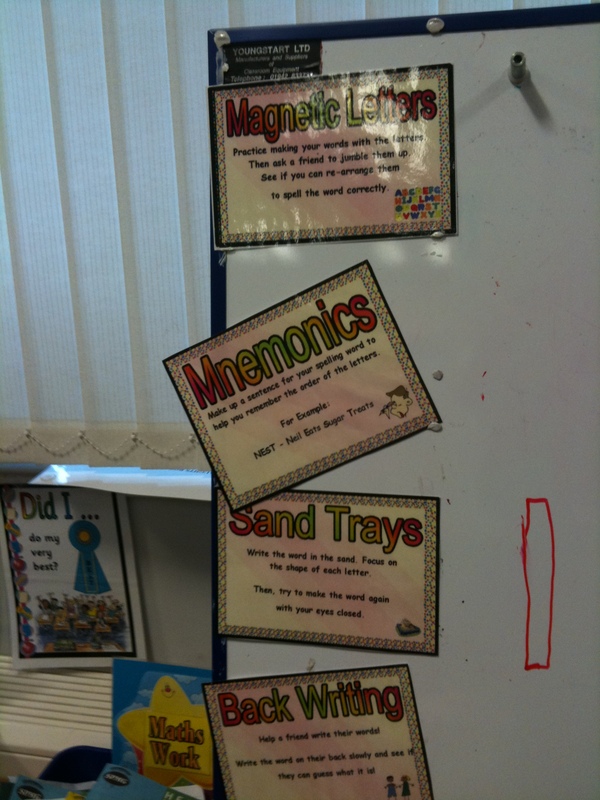 Nice sensory spelling ideas displayed – but remember any such approach works well when the interaction of the teacher is such that these activities are challenging and not merely repetitious stations which are repeated daily. Lots of interesting things and you can see the focus on learning and teaching and the reflection of staff evident. 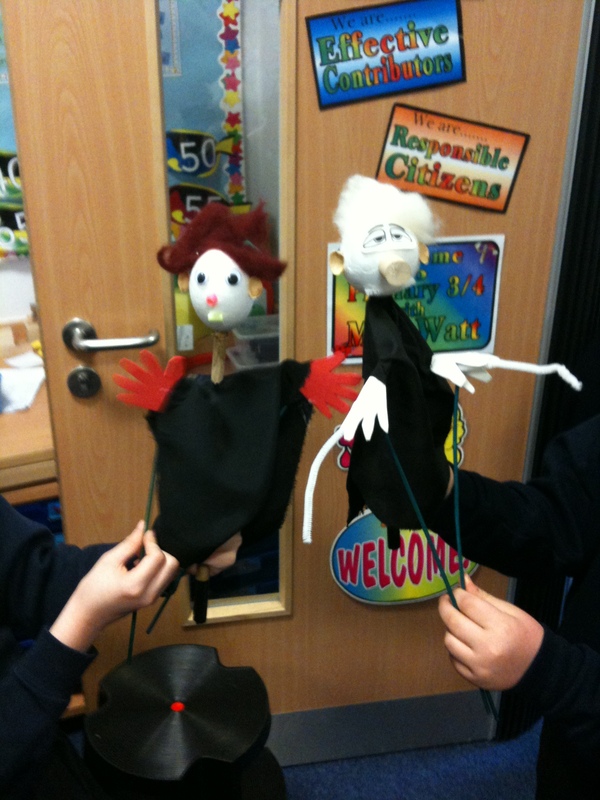 Doing a puppet show was a great way to assess some of the skills and abilities the children had learned – could they adapt these when playing to a real audience? How did they react when explaing their work to younger children etc etc. All ties in nicely to Building the Curriculum 5. Good stuff all round! Really enjoyed the artsnet performance the other night in Hamilton Townhouse. 200 chldren from across South Lanarkshire schools were involved in Safe and Sound. It gave important messages about child protection in a creative way. This is only part of what the cultural coordinators are involved in. The emphasis they have placed on the arts has been a wonderful experience for so many children over the years. Had an HT drop in this evening. Lots of quick five minute slots on what schools are up to e.g. numeracy planning, active maths P4-7, HMIe visits, CfE in the secondary, learning stories for pre 5s using multi media, standards and quality reporting, CfE approaches related to Homecoming, termly CfE planning, preparing for HMIe, self evaluation using SIRIUS tool etc. Very worthwhile sharing exercise, but I’m not so sure they were keen on my prizes, they seemed to like the cream eggs and special person stickers, but spare copies of building the curriculum 3 and JtE part 1 and 2 weren’t quite so popular as special prizes……and here I’d taken a wee while to track down some extras! So I went back for another visit to Trinity High today. P Bollen the HT had offered a tour/visit round some of the 2nd year classes to get a flavour of their cross curricular topic work. Spanish, Home Economics,Science, Library skills etc. It was really impressive. The young people are a credit to the work going on within the school. It’s a funny thing as you visit schools and those who do this as their job would probably say the same thing, but you can feel the ethos almost from the moment you go in the door. And it oozes out of Trinity – the SMT know their kids and even more important like them and do the best they can for them. Lots of laughter and also lots of respect amongst the youngsters for each other and the adults. He’s one of those heads with nae shoe leather (due to walking fast round the corridors) and I had little left after running round after him at high speed for a couple of hours. Loads of things to see and take in – talks in one class being given after a few days work on famous Scottish Scientists, powerpoints on the go in the library where they were writing about inspiring Scots from Mary Slessor to Jinky Johnstone and even King David “Cos that’s my name too!”, boys jumping up to demonstrate the Salsa they’d learned the day before in their Spanish class and fantastic personal topics they’d completed looking at life here and in Spain, and some haggis, neeps and tatties in the HE department being cooked, work going on about obesity in Scotland and how to combat it etc etc. Anyway after talking to a lot of the children the consensus was that the week hadn’t seemed like work but actually they’d done more than normal and loads of extra homework! They’d particularly enjoyed the way they’d been able to work much more in groups and felt they’d collaborated really well with each other, they’d learned more than normal because it was more fun and best of all maths had been really good because they’d been doing stuff about Napier rods and planning trips to Scottish places looking at how long to get their, using timetables, costing etc – and a few said it had been good because they knew they could use what they’d done in maths because they could use it in real life later. Did they want more like this – YES! The biggest compliment I could give would be I’d have loved my own boys to go to this school, I’d have been happy and confident that they’d be doing the best they could there. And do you know what I quite fancied working there myself. There are some days it just hits me between the eyes that I’ve got the best job in the world. Today was a hard one getting up, Wednesday, feeling kind of sleepy mid week and then I get to work and I see why I come to work every day. I was doing a PDR today in a nursery and didn’t expect either of the sniffly, happy, weepy moments that hit me. Cathkin Community Nursery showed me their ongoing planning whiteboard where they are reviewing their vision, values and aims. Using the word ENABLE to write their vision they are then colour coding the related CfE links and the aims (written as outcomes) which they are developing ready to work out actions to put in their improvement plan. They also told me about the 200 places parents in the area have applied for with their awards for all grant for parental courses at SLC college. 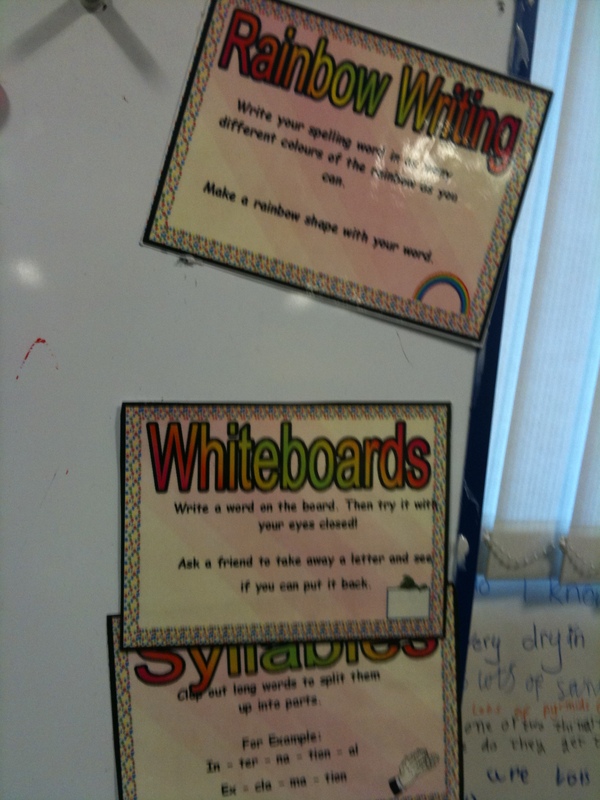 On the playroom walls they are colour coding photograph backgrounds with a specific colour for CfE principles. They had rewritten the AIFL triangle for their own establishment so all staff felt ownership of what they were doing. 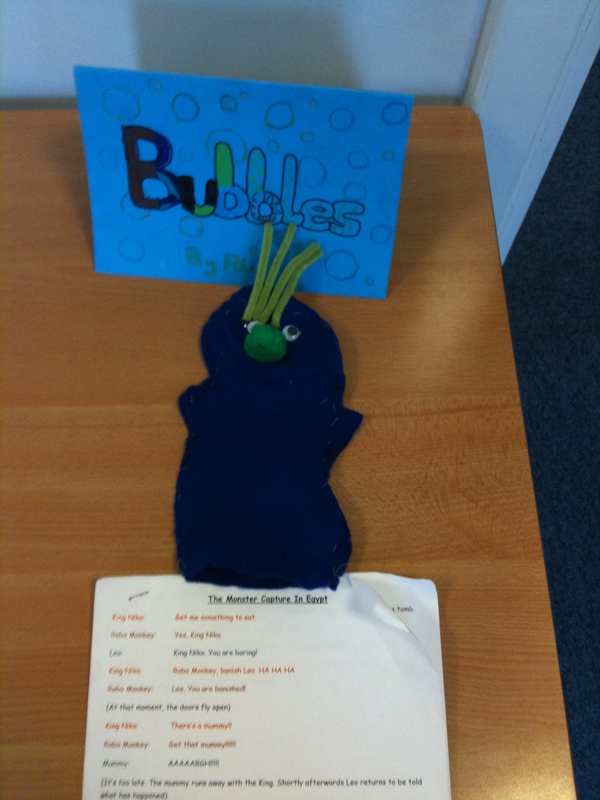 Then in pops Rachel with her individualised learning story media show – with all the photos and evidence for one child showing their learning progression. WOW! I could write much more but go see it! Then off for a surprise treat at Trinity High, where they are currently in the midst of a cross curricular week with all departments involved. The theme is The Scottish Nation. Starting with an assembly on the Monday, pupils made choice to study within curricular areas, went off with a fabulous quiz to complete over the week, where they were getting input in departments but also having to do study research in their own time. They also have to complete ongoing research material as the topic is worked through. The planning and thought going into this was wonderful. What was coming out straight away was the additional element of engagement and enjoyment which was being tackled in looking at the curriculum in this way. They too are delving deep into their vision and values. One impressive piece of work is how they are evaluating the school using the charter for catholic schools. The evaluation looks at the distinctive features in Trinity High and signposts areas for further development. For anyone in any school whether denominational or non-denominational this piece of work is a great example of excellent practice in self evaluation. And what comes across in both establishments is the commitment of the staff, the joy of improving things for the young people and the understanding of how much of a difference they can make in the life of these youngsters – sparking that golden nugget in them of lifelong learning. The other thing which is clear in both is the desire to build capacity in all those involved within their school – the good school in the good society. And the best thing about my job? I get to see stuff like this every day! Copies of the presentations by Trevor Gray, Caroline Gibson and Paul Gallanagh are on our area glow group – all staff within the area are members of the glow group already so just log into glow and you’ll see the presentations. I’ll embed Jaye’s presentation too so you can view it there (when I get back into my office later in the week). I’ve been lucky enough to be able to go to Tapestry tomorrow in Glasgow. All these years of teaching and I’ve never managed along, so I’m looking forward to it very much. All HTs have copies of various CfE bits and bobs discussed today – anyone interested in my e-mailing any of the materials, just get in touch. Every year I book up with the intention of going to the SLF for two days, with great intentions and mostly bits and pieces turn up that mean I miss parts of the two days. I couldn’t get yesterday but managed along today and felt pretty inspired by some of the things I saw. Great reviews from people I met on Caroline Gibson and Jaye Richards sessions at the glowing lounge. Good on them flying the flag for SLC. Saw Liz Mercer doing her bit on persona dolls, which everyone was loving. Liz is one of the most dedicated and enthusiatic practitioners you could hope to meet. Caught up with Trevor Gray from LTS who will be doing an input at an event in our area on how to get to planning in CfE. He’s already done some really nice things on big question planning which are great starters for people. Was a bit embarassed to see my name on an ASG project at the SLC stall along with Caroline Gibson’s when all I did was bid for the money and she did all the fantastic work with a group of teachers across our Learning Community on rich tasks related to Africa and Malawi. I reminded her that I still feel like she’s a bit of an adopted daughter, its such a buzz to watch someone become increasingly skilled, confident and inspirational to others. That’s what this job is all about. Seeing leadership grow gives great hope for the future every time you see it. Will have to go and catch up with some of the keynotes etc later on video links at LTS. As always so much to see and hear and time just disappears… I found it interesting to see how CfE impacted on the materials on display. It was heartening to see so much on outdoor play, global citizenship, ASDAN etc where a real sense of community is being worked on with our young people and the wider community. I’m currently helping to organise a CfE visualising day for our area of Cambuslang/Rutherglen – I’m looking forward to this and we’re hoping to get several speakers including Trevor who can show how much of this we already do and how we can start moving forward making the connections and implementing CfE fully. Last week we had our first 5-14 data meeting which hopefully the LC of Trinity found of some use. Now we have so much data available from the EA it is making tracking and monitoring and really digging deep much easier to do. Obviously there are questions as to what will replace this but in the meantime I’m keen that all our schools can be even more skilled in this area as it will become even more crucial in many ways that we have excellent means of monitoring attainment and achievement as we move to CfE. I really am delighted at how well all the children and teachers are getting on in our learning community with their rich task blogs. I have this notion that the curriculum for excellence is about depth of learning and developing the skills of teachers to meet pupil needs. This rich task is doing that. It wouldn’t really have mattered what the “topic” was or even that its a rich task. 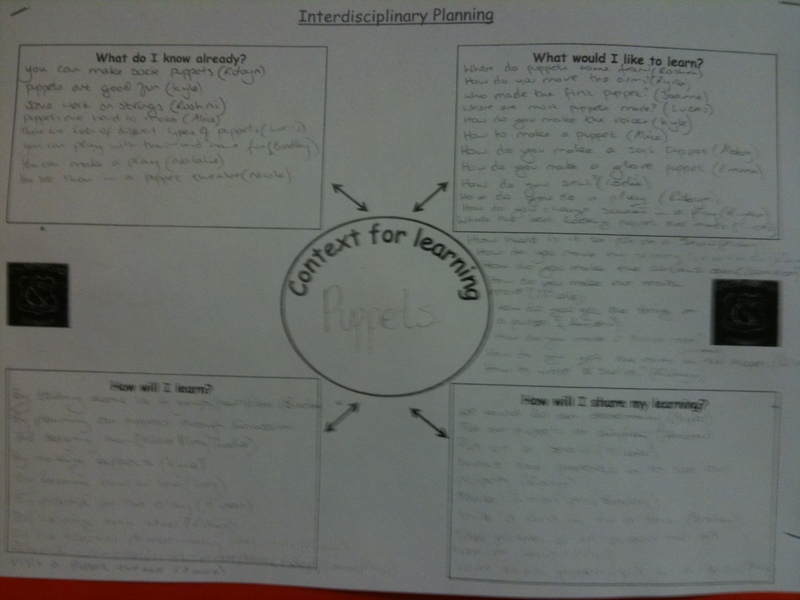 The most important bit is the teachers are doing a degree of responsive planning, they have loosened the timetable and are bringing in some sensible interdisciplinary work (without the old topic web of fitting everything in whether it fitted or not), but most of all they are developing their own learning community (blogging is a tool which is helping them do this) where they and the children are interacting with each other. 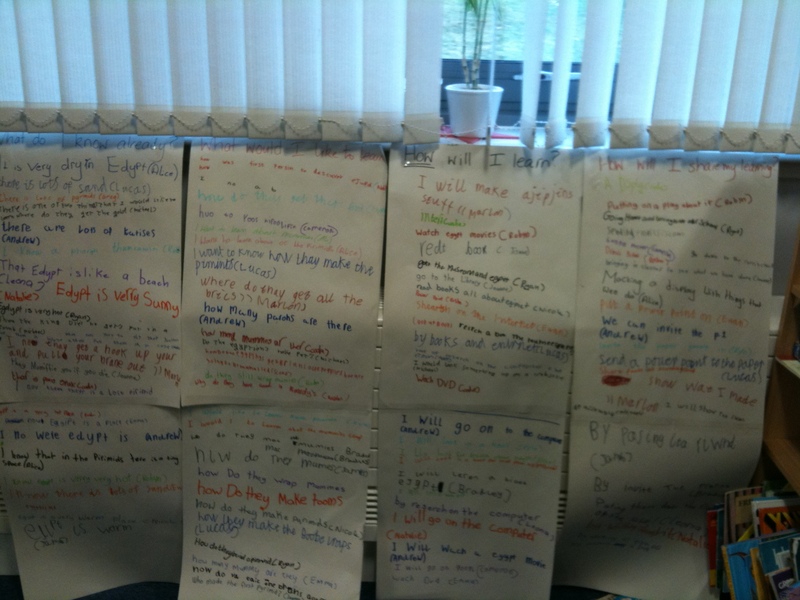 I hope this aspect continues to grow – its down to how useful the teachers and children find talking and sharing! I think they are finding it pretty useful and feel less isolated by doing things together at the same time – and what’s best of all is they are all doing it differently depending on their own school’s context. So here’s my plea to those who are currently unpacking CfE outcomes. They don’t need unpacked – stick them back in their case and just use them! Don’t replace 5-14 with the same thing under a different name. Upskill on the teaching skills – no more folders of “topics” and banks of stuff. Get people sharing and working together – and dare I say it – let’s stop making new planners! Can we just do more stuff about how to teach even better?